IHRC has launched apps for Apple and Android phones to inform people of their rights in respect of the controversial Sections 7 and 8 of the Terrorism Act. 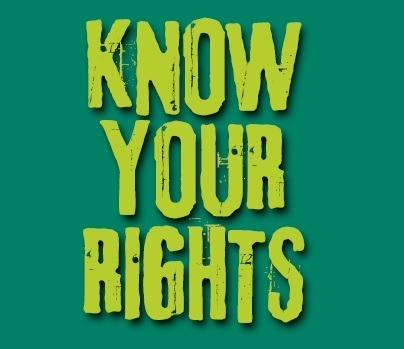 “IHRC Know Your Rights”, which can be downloaded free, is intended to serve as a comprehensive guide to users as to their rights under the legislation. IHRC believes the app could prove to be an invaluable tool for those who find themselves becoming victims of the draconian law. Forming part of the Terrorism Act 2000, the schedules allow police to detain people travelling via a UK airport, port or international train station in order to establish if they are involved in terrorist activity. However, the legislation has been routinely abused by law enforcement officials who have used it’s already wide-ranging powers to harass Muslims and gather intelligence about other members of the wider Muslim community. In 2012-13 ethnic minorities accounted for 79% of all those who were stopped. Over the nine years in which IHRC has monitored Schedule 7 it has received scores of complaints including about officers asking Muslims they have stopped if they pray or if they would be willing to spy on their communities. The app makes it clear that individuals are not under any obligation to supply any information about anyone else. ‘Know Your Rights’ also contains a section on how to complain directly to the IHRC about abuses and access legal advice. The app builds on extensive campaigning by the IHRC around Schedules 7 and 8 which has involved leafleting and organising community workshops. The App can be found in App Store or Google Play using the search term ‘IHRC’.